The BC Field Reporter concept was created with Tourism British Columbia to capture authentic tourism experiences around the province. 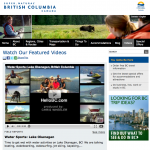 Chris Wheeler created the first pilot video for this project in 2008 and continues travelling the province generating exciting online videos that provide fresh content for Tourism BC and their social media marketing campaigns. 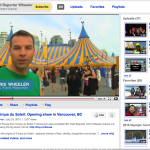 He has produced 45 videos for the BC Field Reporter campaign with over 450, 000 views.